Photo © Jens Nørgaard Larsen/B.T. 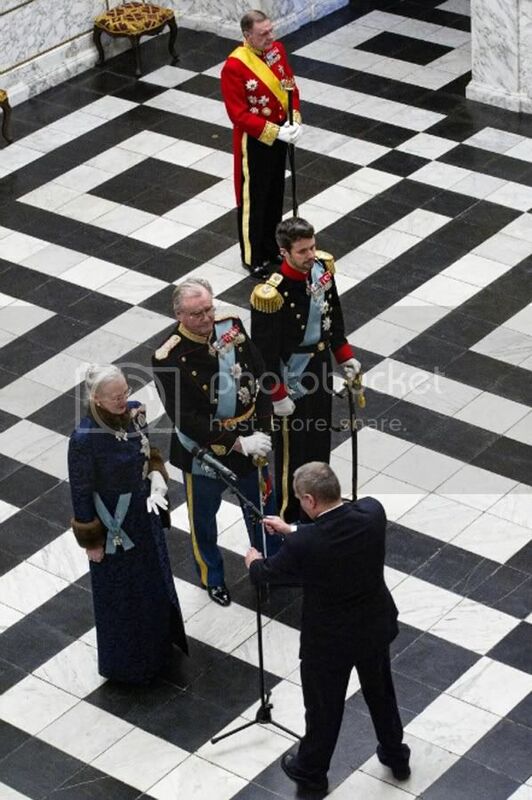 Today Queen Margrethe, Prince Henrik and Crown Prince Frederik attended the New Year's Court for the judges of the Supreme Court and the two Guards regiments, the Guard Hussar Regiment and the Royal Life Guards, at Christian VII's palace, Amalienborg, and then later attended the New Year's Court for the Diplomatic Corps at Christiansborg Palace. These courts are known as the 'small courts' to distinguish from the final Grand Court on January 5, although oddly it is all very grand. 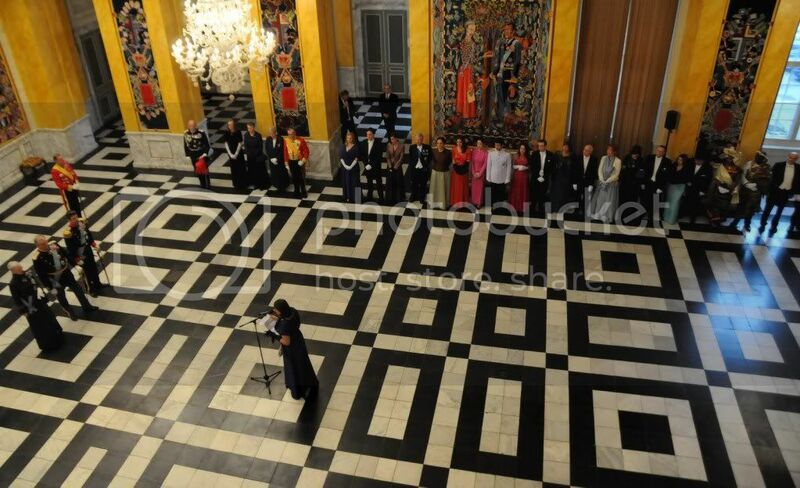 As with the New Year's Court and Banquet on January 1, Crown Princess Mary had sent her apologies because she is on maternity leave. 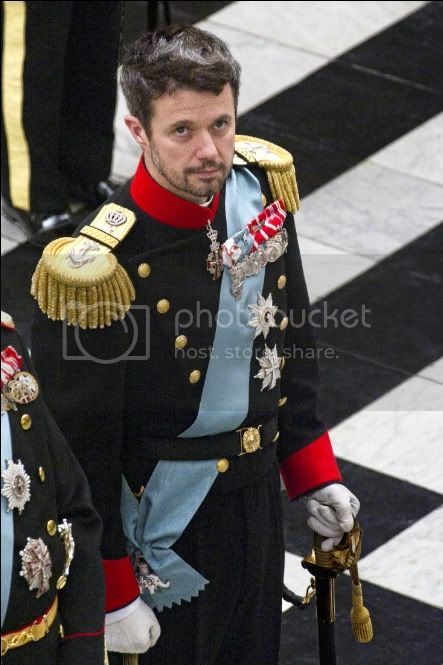 Extra Bladet attempted to make a bit of a story suggesting Crown Prince Frederik didn't 'turn up'. 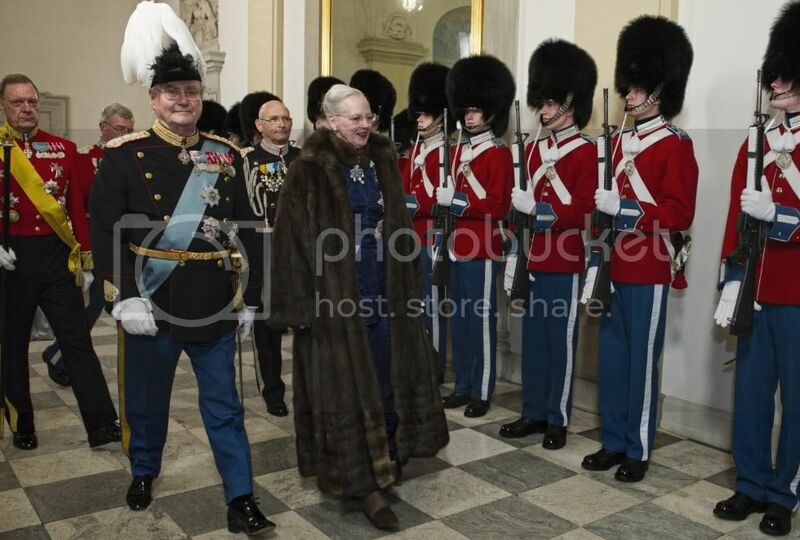 However Frederik had been at Christian VII’s Palæ at Amalienborg at 9:50am entering from a back entrance presumably after walking from home across the square. At Christiansborg Palace (House of Parliament) Frederik arrived right on time at 11:25am. 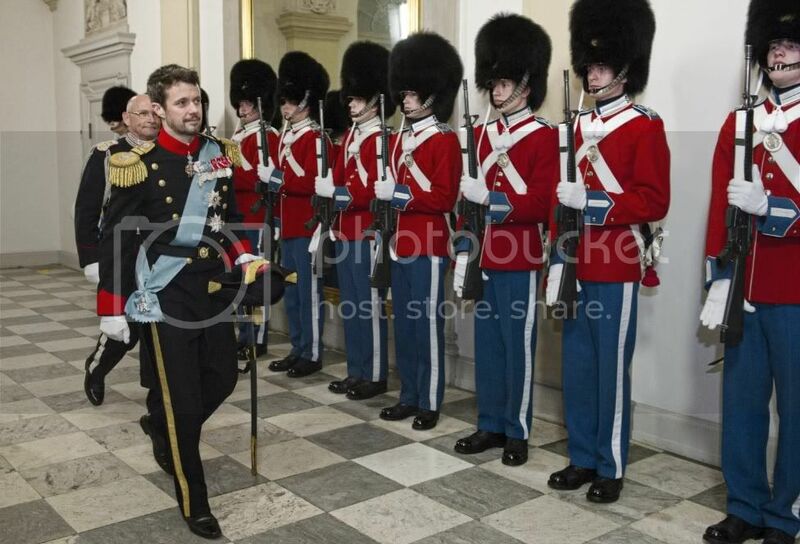 The watch on Frederik is to gauge what is happening with Mary no doubt, so no news on that front today. 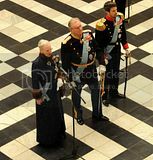 Photos © Jens Nørgaard Larsen/B.T., Hasse Ferrold/ICC, Hanne Juul/Billed Bladet. 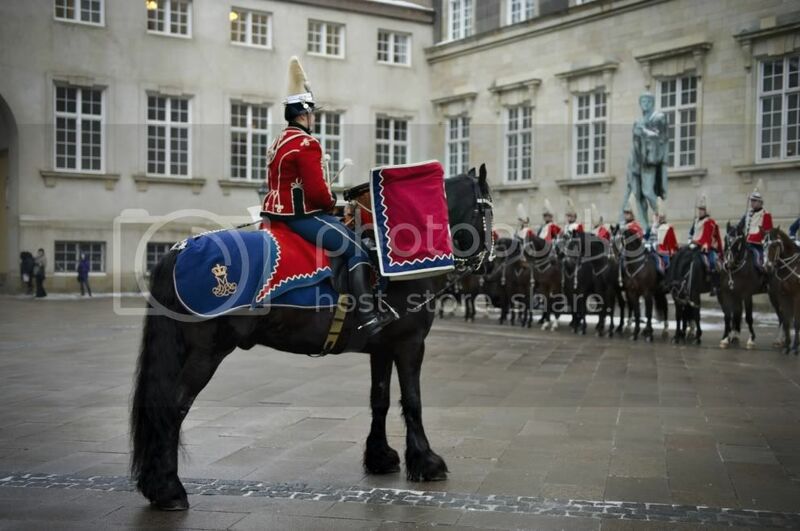 The horse on parade at Christiansborg Palace in the Guard Hussars is specially trained to tolerate noise and distractions including the drum being played. B.T. - after a bad day in the tabloid frontline yesterday, B.T. reports that Frederik was at the New Year Courts without Mary by his side. 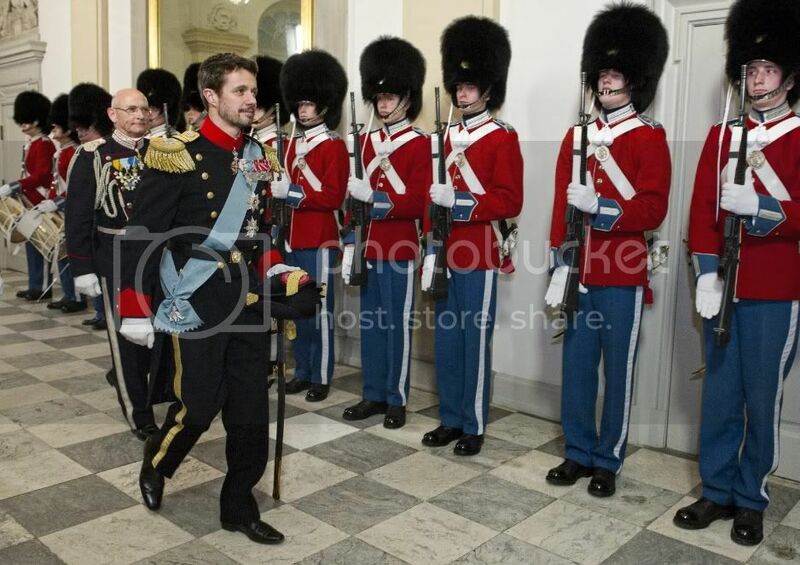 On arrival at Christiansborg Frederik was peppered by questions by the waiting media but walked past all of them reviewing the Life Guards and then entered Hall for the Diplomatic Court. The Regent Couple did the same shortly afterward. 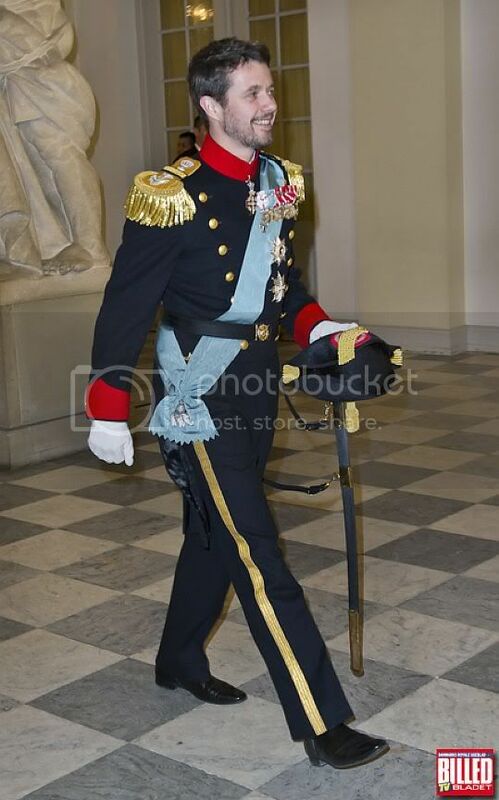 Tomorrow the final New Year's Court takes place in which Crown Prince Frederik will also participate. 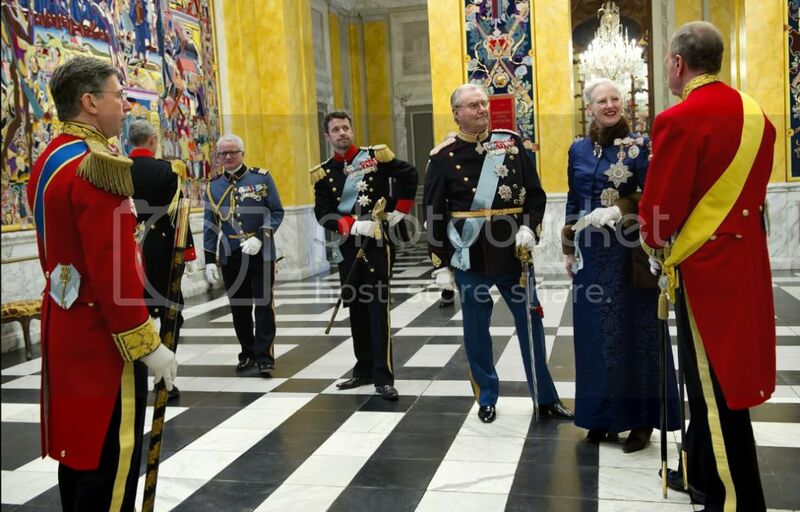 Again it will be at Christiansborg Palace for the officers of the armed forces, the Danish Emergency Management Agency and representatives from all the patronages of the Queen, Prince Henrik and Frederik. 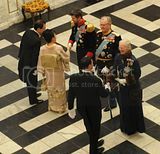 TV2 clips of Supreme Court and Royal Guards arriving at Amalienborg Palace and then the Diplomatic Corps at Christiansborg Palace. 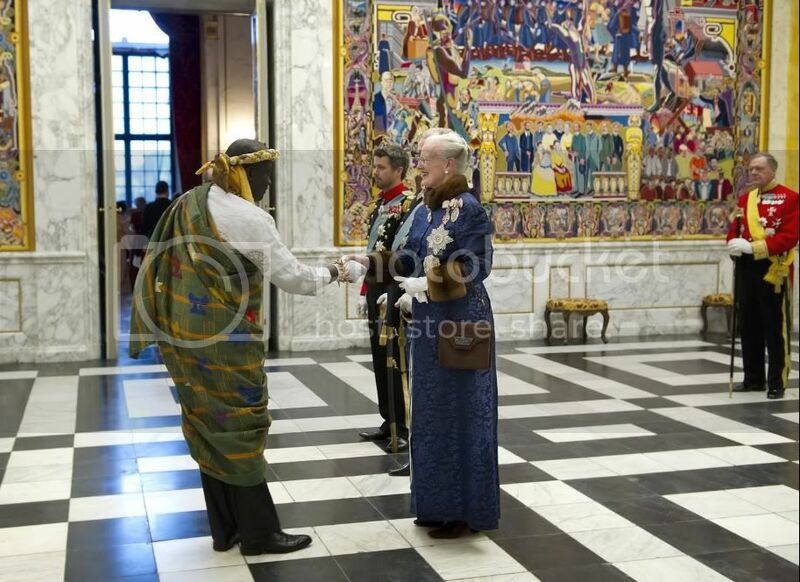 Where's the pic of HRH Henrik flashing the crown jewels? why does Margrethe wear the same outfit for this event year after year? is this her uniform? Anon no.1: there are plenty of pics around if that is really so important for you to see. 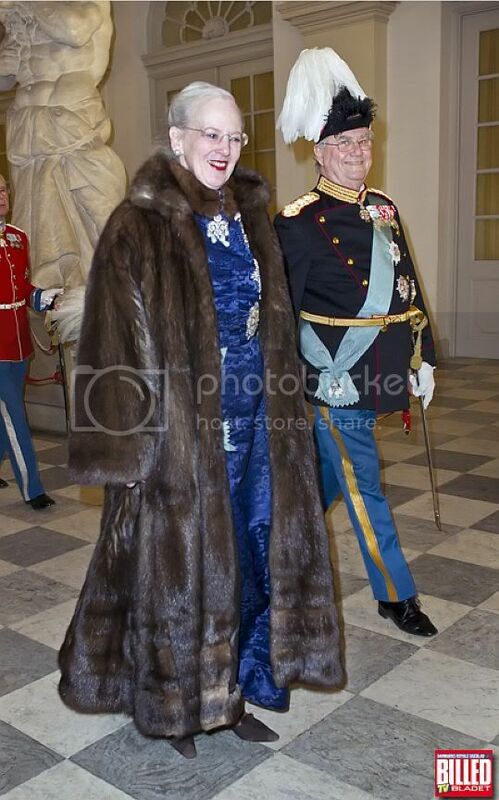 Anon no.2: The Queen is very thrifty and has worn this outfit for quite a few years now. She used to wear a yellow outfit styled very similarly. It is QM's way I suppose.